It is essential for librarians to make themselves indispensable within their schools. To do this, we must constantly seek new ways to better serve our students and teachers. Sometimes, this means taking a closer look at the traditional rules and expectations in school libraries to determine if they really are the best ways to meet the needs of our students. 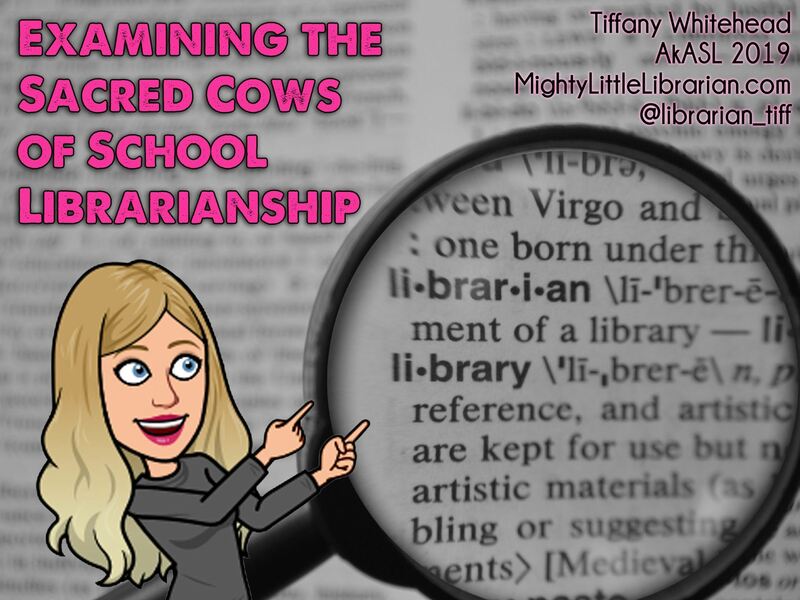 By taking a closer look at some of the sacred cows of school libraries, we will discover how some libraries are shaking things up to improve their services. Attendees will leave this workshop with practical ideas and tools to take back to their own schools and libraries.